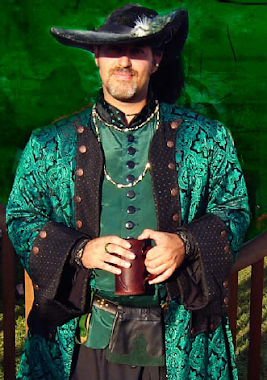 The Pennsic War: The Mayor's Musings: Volunteers! Well as war week starts things are going very well (Knock on a tent pole). I do have a need for any of you already on site and willing to help. We have a need for volunteers to drive golf carts for our disability transportation service. The service this year is proving to work very well but it's frustrating for us when we have carts available but no one to drive them. If your able and have a valid drivers license we would appreciate volunteers who can sign up at Watch point to drive for a shift. Also a plea from me that if you do sign up for a shift either for disability or the Watch, please honor your commitment and show up. It's hard to adjust when someone who's promised to serve doesn't show and it's too late to get others who may have been willing. Thank you again and I sincerely hope your all enjoying the event!